Illegally dismantling vehicles and loading them for export has cost a Peterborough vehicle dismantler a fine of £2,000and a contribution to prosecution costs of £1,700. A man, who operated an illegal scrap yard on land at Cemetery Road in Kearsley, has been ordered to pay £10,000 for his illegal operations after being prosecuted by the Environment Agency at Preston Crown court. The owner of a Devon recycling company has been ordered to pay £2,590 in costs after he was caught illegally exporting used car tyres to Vietnam. A Bristol man who ran an illegal scrapyard in the city has been given a suspended prison sentence and ordered to pay £13,000 costs in a case brought by the Environment Agency. Just some of the successful prosecutions that the UK Environment Agency have brought against illegal operators so far this year, but is the message getting out to the Auto Recycling industry that flouting the law means they will be caught and prosecuted? I don’t think so. This was all I could find on the Environment Agency site for this year – 5 successful prosecutions, and one of those is slightly dubious because it involves tyres and the vast majority of those tyres would have come from tyre shops rather than end of life vehicles! And the level of prosecution – not enough, it won’t force these offenders to suddenly comply with the law and be fully regulated – it only means that they have lost a bit of profit and will go back to their normal practices as soon as possible. The exception is the Harrogate man who was held in custody, he is only there because it was his second offence! More problematic is the length of time it takes to bring these cases to court, a number of them relate to offences committed during 2010 and one case goes back to 2007, and in most cases these operations will have continued in business. I know that there is a need to build a suitable case for prosecution, but surely it is time to change the regulation of the industry and bring in quicker and more effective prosecutions. If the Environment Agency finds an illegal scrapyard they should be able to apply a spot fine to the business that (at minimum) equals the cost of the appropriate licence that the business has avoided paying, and then there should be an enforcement notice that gives the owner a suitable period of time to clean up the operation – 14 days for example - followed by a site visit to check the clean up, and the authority to seal the gates of the yard shut immediately if no action has been taken. Then the E Agency can initiate the appropriate legal process. So the illegal operator has been fined, given time to clean up his business, had his business shut down and taken to court, a sequence of events that reassures legal operators that the E Agency are proactive and determined to root out illegal operations, and either make them compliant or close them down. 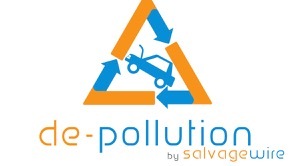 I love the auto recycling industry........do you? 11 years ago I was offered the opportunity of a secondment within the auto recycling industry, as an automotive engineer who had been involved in the retail and insurance areas I thought that I knew everything I needed to know, in fact I found myself on a very steep learning curve as I realised that i knew very little -at the same time i started to fall in love with the business. That secondment turned into a full time position, and I am still there now, burning with a passion to see the industry develop and grow. So what is it that keeps me going?I see family run businesses, sometimes third or even fourth generation that are expanding, that are profitable, that are clean, safe, and environmentally friendly, I see dedicated professionals who want to improve, and I see opportunities.The industry has changed over the last 10 years and will go through significant change in the coming 10, the march of technology will have a big impact as will legislation, and I am not talking about environmental or business laws, but the changes in the construction, use, repair and disposal of vehicles as required by legislation. Companies that are prepared to change, adapt and evolve are the ones that will be profitable in 10 years time, but this will require consistent and effective leadership from owners and managers. So how do you get from here to 2012? The best leaders and entrepenuers do not have a crystal ball to see into the future, they just use their knowledge to open opportunities and then they minimise the risk to their business, the word failure is not in their vocabulary, if something doesnt work then they have knowledge that no-one else has! So how do you start changing your business so that you are ready for the next 10 years? You cannot think your way into the future, you have to move one small step at a time using the information, equipment and money you have available at the time. So what is the first step?This is sometimes the most difficult part, deciding to implement changes and step out of the comfort zone you are currently in can be very difficult. This could be the catalyst that the business needs to change and evolve, but one thing is certain, if the business does not change then it will not survive. You remember I said that one of the pleasures I experience is seeing family businesses that are third or fourth generation. If you decided to write a history of one of these businesses there would be major differences between the original operation and today. 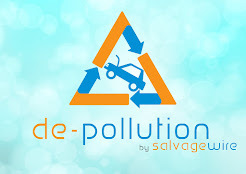 It has been said that You cannot use one business model throughout your working life, but you have to reinvent yourself 5 times to keep on top of progress, the same is true of auto recycling yards. 2022 will be a very different world to the one we inhabit today, for a start I will be 10 years nearer my pension and I could be a grandparent! Motive power will be electricity, hydrogen, bio fuels and fossil fuels, cars could be obsolete after 5 years, advances in electrics will allow convoys of cars to travel major motorways and interstates all controlled by the lead vehicle, accidents will be minimised by the use of autonomous emergency braking and other advance electronic systems, fuel economy and emission legislation will mean smaller, lighter vehicles constructed with advanced metal and composites, vehicles will be more difficult and costly to repair with knock on impact to the supply of 'green' repair parts, and the overall cost of motoring in the western world will see reductions in the number of vehicles on the road along with reduction of the average annual mileage. All of the above will drive change and will result in a very different industry to the one we know today, more vehicles will be stripped down to component parts for pure recycling, fewer parts will be retained for sale to repair other vehicles, and the traditional pull-a-part operation could be almost extinct.I love the auto recycling industry, because it will evolve, adapt and change, owners and managers are professional business people and entrepenuers who will make sure that their yard will be a sustainable and professional business in 10, 20, 30 years time. The only question I have is, will you still be there?